The Sitka History Museum is filled with the rich history of Sitka in the form of displays, photographs, and ancient artifacts. The featured displays are of the native tribe (the Tlingits) who have inhabited Sitka for over 10,000 years; European exploration; the occupation of the Russians and their influence over the area; Sitka’s American history beginning in 1867; fox farming in the region; and interpretations of Sitka life by the sea. The museum is located in the Harrigan Centennial Hall and run by the Sitka Historical Society. Their mission is to preserve and protect the historical artifacts and archives and to provide museum display and interpretation for visitors and local Sitka residents. There are also pieces not on display that are available by appointment only, for research purposes. 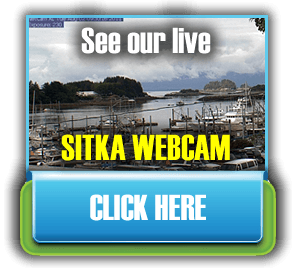 The staff is well-versed in Sitka’s past and present and will gladly answer any questions or provide additional information to visitors. Admission is free, and donations are gladly accepted to help keep the museum running. Visitors to the area benefit from visiting the museum, as the area is so rich in history. Everything they see in Sitka during their stay is given more context once they understand its significance. The gift shop on site. It features many local handcrafted replicas of the museum’s collections as well as exclusive items made just for the museum and only available here.